DIGINEXT is a human-sized company specialised, among others, in the fields of Advanced Command and Control Systems, novel user interfaces and geographic information systems. It is internationally recognized for its capacity to innovate, its excellence, as well as for both the quality and performance of the products it develops for the Security and Defence sectors. Since its creation, DIGINEXT has been involved or is still involved, as a coordinator or as a partner, in several EC funded projects. DIGINEXT is coordinator of the ALADDIN project and, as such, has a central role for operational, administrative and financial coordination. On the technical side, DIGINEXT is in charge of developing an innovative, mixed reality C2 interface for displaying on head-up devices. It is also in charge of connecting the C2 to data providers, and to provide a virtual environment for demonstration and evaluation of the platform. Founded in 2000, CERTH is one of the leading research centers in Greece. Located in Thessaloniki, it includes five institutes, employs over 700 people and has participated in more than 1200 competitive research projects. The Information Technologies Institute (ITI) was founded in 1998 and is a founding member of the CERTH. ITI is one of the leading Institutions in the fields of Informatics, Telematics and Telecommunications and has participated in more than 155 E.U. research projects. CERTH/ITI is bringing its long-year expertise in Deep Learning technologies for computer vision and signal processing to the ALADDIN project. It will design and implement state-of-the-art Deep Learning solutions for the detection, tracking and classification of drones, both in unimodal and multi-modal settings, by employing stacked denoising auto encoders and novel CΝΝ/RNN architectures. CERTH/ITI is also in charge of the scientific and technical coordination of the project. The Fraunhofer Institute for Digital Media Technology IDMT in Ilmenau (Germany) conducts applied research in the field of digital media and works on leading projects in the field of audio-visual applications. Since 2008, the Fraunhofer IDMT group Hearing, Speech and Audio Technology, based in Oldenburg, researches topics of audio system technology and their applications in the fields of security, health, transportation, multimedia, and telecommunication. The main focus of the IDMT in ALADDIN lies in the field of complexity scalable acoustic sensors. IDMT will provide its knowledge about automatic acoustic event detection, which is needed to discriminate between different sounds, its extensive background on acoustic source localization using multichannel setups and distributed sensor networks to provide a direction from which the threat approaches and its know-how in the area of acoustic noise reduction to reduce the influence of unpredictable noise and to increase the performance of the acoustic event detection. PIAP is leading Polish research institute with long experience in the implementation of automation systems for industry. For over 10 years PIAP is also a successful developer of mobile robots used in EOD and rescue missions. Research performed at PIAP facilities is concentrated on mobile autonomous systems and innovative human machine interfaces. In particular, PIAP’s focus in the area of machine perception is directed towards software solutions, based on laser scanners and vision cameras. PIAP has long cooperation with industrial and scientific organizations together with research groups in National and European Union level. PIAP role in ALADDIN project concentrate mainly in WP 5 – Detection, Localisation, and Classification, where PIAP acts as an expert in the field of computer-vision, video tracking and analysis. PIAP is in charge of T5.2 Optro and thermal panoramic capability; design and development of the optro 360° capability, pairing with the thermal sensor. 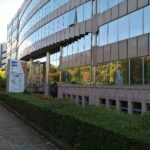 The interdisciplinary Research Group on Law Science Technology & Society at the Vrije Universiteit Brussel (VUB / LSTS) is devoted to analytical, theoretical and prospective research into the relationships between law, science, technology and society. Whilst the LSTS’s core expertise is legal, it also has a strong experience and track record in legal theory, philosophy of sciences and bio-ethics, and engages in criminological and STS-research too. 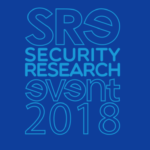 LSTS is has a well-established reputation in research concerning privacy and data protection, profiling technologies, ambient intelligence and ‘autonomic computing’ in a broader sense. VUB will provide legal and ethical expertise to the consortium. In particular, VUB will ensure compliance with the relevant European legal framework. It will also conduct impact assessments of ALADDIN technology upon rights of data protection and privacy and upon ethical principles within DaPPECL framework, leading WP3 – Societal, Ethical, and Legal (SoEL) aspects. CS is a major European system designer, integrator, and operator of mission critical systems in the field of Defence & Security where it provides C2 systems, secured architectures, as well as anti-drone systems. CS is acting in sectors with strong growth potential, such as defense, space and security, aeronautics, energy and transportation. With € 162 million in revenues and 1.730 employees worldwide, CS is an established provider, acknowledged by major customers for its expertise and commitment of service to customers. CS is involved in the ALADDIN project for functional specifications, critical and secured system design, spoofing/hacking capability, advanced C2 system, system integration. CS plays a major role also in transversal tasks, such as management and dissemination. IDS is a system engineering and manufacturing company providing high-technology solutions in selected defence and civil markets. Based in Pisa (Italy), with 5 subsidiaries worldwide, it is a world-leading provider of high-tech products, measurement systems and consulting services in the Naval, Aeronautical, Air Navigation, Space and Radar sectors. IDS’ Divisions and Laboratories pursue industrial innovation through participation to leading-edge engineering projects, including several EC funded research projects. IDS’ main role in ALADDIN is leading the core technical Work-Package WP5 – Detection localisation and classification, where IDS will develop a 2D, long-range radar with enhanced functionalities for detecting small UAVs in realistic environments. Additionally, IDS will contribute to innovative algorithms for radar signal processing (multi-target tracking/classification), system testing and verification. IDS plays a major role also in transversal tasks, such as management (quality and risk management) and dissemination, leading WP2 – Dissemination & Exploitation preparation. SIRC is a fabless design house dedicated to development of specialized ASICs based on SiGe BiCMOS technology for different applications in the 6 – 240 GHz range. ICs to be applied in radar technology at 10 GHz, 35 GHz, 94 GHz and 120 GHz are in special focus of the company. Furthermore, SIRC develops systems for specific applications. In Aladdin project, SIRC designs and develops a short range 3D radar. MC2-Technologies, created in 2004 and based around Lille. MC2 uses its recognized expertise in microwave fields such as, among other things, the characterization of components, the development of high-power amplifiers to carry out innovative product developments via its R & D sector. The two flagship products of the company are passive radiometric cameras but also drone scrambler. It is within the framework of this last product that the company integrates the ALADDIN project by providing the scrambling solution. the SPYNEL series, day&night 360-degree cameras, provide unprecedented situational awareness on land or at sea. Automatically detecting and tracking both conventional and asymmetrical threats, they secure wide perimeters in real-time. HGH has a worldwide presence (85% of revenue from export, subsidiary companies, sales offices in America, Europe, Asia and Middle East, representatives in more than 50. HGH participate to Aladdin project, task5.1, developing a UAV detection system based on a network of high resolution 360° IR panoramic sensors (Spynel). The Andalusian Foundation for Aerospace Development (FADA) is a non-profit organisation that takes care of the management and development of CATEC research centre. 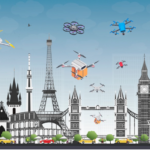 FADA-CATEC is the main Spanish research center for civil RPAS/UAS with more than 20 researchers working on aerial systems technology and it has a large experience in developing technological solutions and applications with UAS and aerial robotics. FADA-CATEC also manages ATLAS , an UAS test flight center (www.atlascenter.aero/en). It is specially designed for light and small UAS/RPAS operations. It counts with 1000 Km2 of segregated airspace until 5.000 ft with a climatology enabling more than 300 days of operation. FADA-CATEC’s main role in ALADDIN project is leading WP6 (Neutralization) and the preparation and execution of one of the pilot experiments in ATLAS test center. The Center for Security Studies (KEMEA) is a scientific, consulting and research agency, whose purpose is to conduct theoretical and applied research and to perform studies, particularly at the strategic level, on security policies. KEMEA’s mission and scope is characterized by five main concepts: Research – Innovation – Security Planning – Training & Education – Testing and Validation. KEMEA’s main role in ALADDIN is leading the Package WP 9 – Curricula, Training, Pilots and Evaluation, being in charge of creating innovative curricula, training end-users and evaluating the project outcomes on a set of complementary pilots in relevant environments. Additionally, KEMEA will contribute to T4.1 – End-users’ ConOps, requirements, and use cases, and in transversal tasks, such as T1.6 – Advisory Boards and Open User Group, organising three Advisory Boards which will assist the consortium, and T2.2 – Communication and dissemination, being responsible for disseminating the project activities and results toward external parties. ACCIONA Construcción (Spain) is a world leading constructor and operator of critical infrastructures including power plants, drinking water treatment plants, harbours, hospitals, prisons, highways, etc. Its key expertise is in design and construction of secured critical infrastructures, operation of critical infrastructures. Main tasks of ACCIONA within the ALADDIN project are: contribution to end-user requirements and pilot scenario definition, training and evaluation. The French Ministry of Interior (MIF) is responsible for the French people’s safety and security, and for the promotion of a cosistent model made up of institutions, electoral system, administrative and territorial organisation. The MIF ensures that local public law enforcement services are able to carry their missions of safeguarding both people and property. Within the Ministry of Interior, the Police and the Gendarmerie Nationale cover a wide range of missions against all forms of crime, ranging from minor acts of delinquency to organized crime, underground economy, trafficking of all kinds and, of course, terrorism. Also within the French Ministry of Interior, Civil Protection is in charge of relief and crisis management in France. The MIF, through its linked third party CIVIPOL, will contribute to WP2 – Dissemination & Exploitation Preparation, WP3 – Societal, Ethical, and Legal (SoEL) aspects, WP4 – Mission, Operational, and System Requirements, WP9 – Curricula, Training, Pilots, and Evaluation. The UK Home Office Centre for Applied Science and Technology (CAST) is made up of scientists and engineers who develop technological solutions to fight crime. CAST is the primary science and technology interface between Home Office (HO) ministers, policy makers, operational delivery partners and the suppliers of science and technological (S&T) solutions. contraband detection, crime prevention and community safety, digital investigations, forensics, identity assurance, protective security, public order and fire, surveillance. CAST is involved in the ALADDIN Project as a Law Enforcement Agency (end user), mainly in the following tasks: coordination of end-user requirements and pilot scenario definition, training and evaluation, production of the ALADDIN recommendations. Polícia Judiciária (PJ) is the Portuguese higher criminal police body, hierarchically organized under the aegis of the Ministry of Justice. As a National Law Enforcement Agency (LEA), Polícia Judiciária has strict competences of investigation over serious and organized crime while developing and promoting preventive, detection and investigative action. In the project Polícia Judiciária will ensure end-user participation and vision. PJ will contribute to the work packages WP1 – Dissemination and Exploitation; WP3 – Societal, Ethical, and Legal (SoEL) aspects; WP4 – Mission, Operational, and System Requirement; WP9 – Curricula, Training, Pilots, and Evaluation. To evaluate and disseminate good practice to field offices. MIPS is involved in the ALADDIN Project as a Law Enforcement Agency (end user), mainly in the following tasks: Contribution to end-user requirements and pilot scenario definition, training and evaluation. Madrid Municipal Police is an armed force of civil nature with hierarchical structure and organization, framed in the General Coordination for Security and Emergencies under the authority of Madrid City Council. The city of Madrid is divided in 21 districts and each one of them counts on a Municipal Police Unit commanded by a high rank officer, except for the Center District, which for operational purposes is divided into two Units. All 22 Police District Units are primarily responsible for monitoring public spaces, ensuring normal living and preventing criminal acts, adding to this the tasks in administrative police and coordination with the Body of Traffic Agents directing traffic in the city and enforcing its rules. Civipol, the consulting and service company of the French Ministry of the Interior, provides services in the areas of homeland security, civil protection and governance to clients in France and abroad. Our approach to these assignments consists of taking into account the technical, logistical, operational and cultural capabilities of the country or business concerned. Whether we intervene as operator or service provider, the excellence of our input is based on our specialization, delivered by our international experts or by personnel from the French Ministry of the Interior. As a para-governmental company with ISO 9001 certification and a highly qualified and dynamic team, Civipol has built its reputation on its responsiveness, operational flexibility and ability to deliver a full range of customised services. Civipol’s role in the ALADDIN project is as the operator of the French Ministry of the Interior. Civipol manages all of the French Ministry of the Interior’s financial, logistical and administrative tasks for the ALADDIN project.